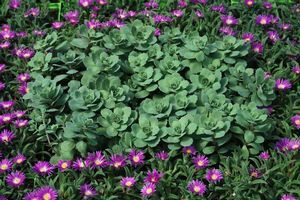 What could be better than a drought-tolerant ground cover that blooms from June to October? 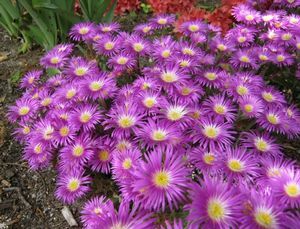 The flowers of D. ashtonii are fuchsia pink with a light yellow-to-white eye and bloom in profusion atop succulent dark green leaves all summer long. 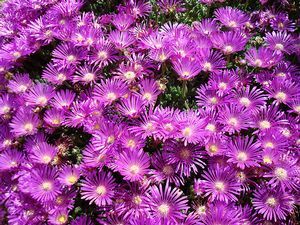 The foliage reaches 6” in height and prefers well-drained soil. Perfect for the rock garden, container or edging of a sunny bed.